Ms Bernice Lee founded ELI to foster good manners and positive leadership traits in young people. A native of Canada, Bernice holds a Bachelor of Arts from Yale University and a Masters in Industrial and Labor Relations from Cornell University (both are Ivy League universities). She has 10 years of corporate experience including seven as a senior human resources manager at top international firms such as General Mills (U.S. and Asia) and Fidelity Investments (Asia), where she interviewed 100’s of candidates across a broad spectrum of job levels and functions. Bernice is the first and only person in Hong Kong certified by The Etiquette & Leadership Institute of the United States, the children’s affiliate to the prestigious Protocol School of Washington, and the global leader in children’s etiquette training. Most of us cannot avoid them: job interviews. Unfortunately, many job seekers go through their careers without fully understanding what the human resource manager sitting across from them is listening for. “HR questions” are perceived to be difficult and problematic because they are usually not technical, focusing instead on “soft skills” or “people skills”. Without knowing an HR manager’s mandate or point of view, some candidates feel like they are shooting in the dark – and end up shooting themselves in the foot. In today’s fiercely competitive business arenas, job seekers who have outstanding “soft skills” and technical knowledge are in high demand. The critical point is to convey that you have these essential skills in the interview so that you get the job you want. This event has been FULL. Thanks for your support. HKUAA Student Members Group is now recruiting ExCo. Details please click here. Please join the official group "Hong Kong University Alumni Association" in facebook if you haven't made it. www.facebook.com/groups/hkualumni . 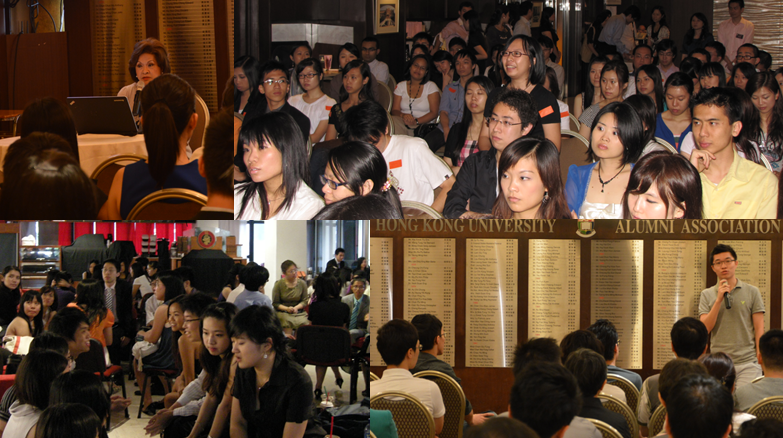 For enquiries please email youngalumni@hkuaa.org.hk or call us at +852 2522-6113.